Bear No. 187a Figurine launched in July 2008 as part of the Classic Bears range but no longer available. 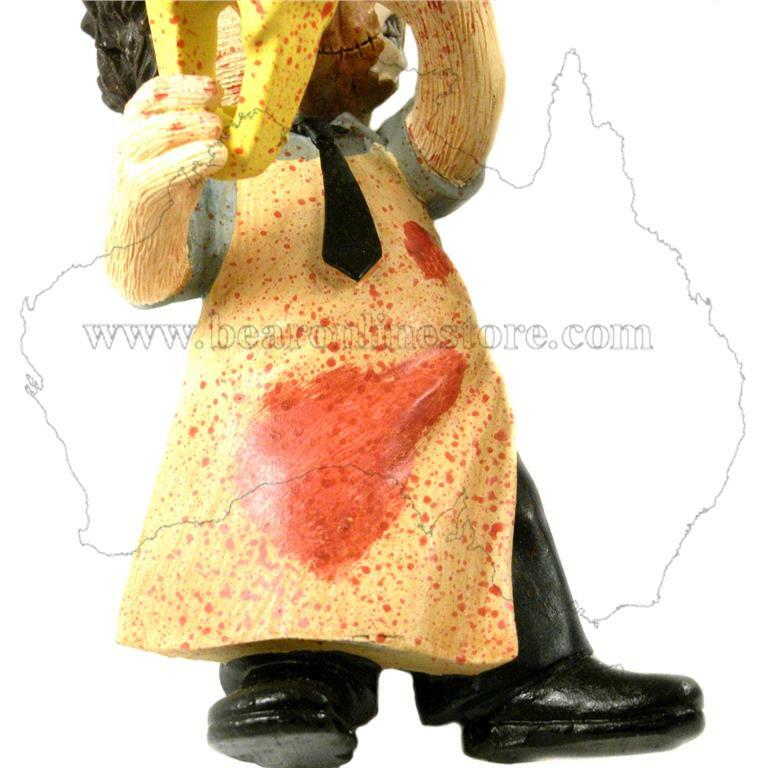 This variation has a wider chainsaw and the blood splatter on apron is different than original version sold. See last photos for comparison - this one on left. 500 grams (approximately) when in original packaging. As in the stitches in his face. 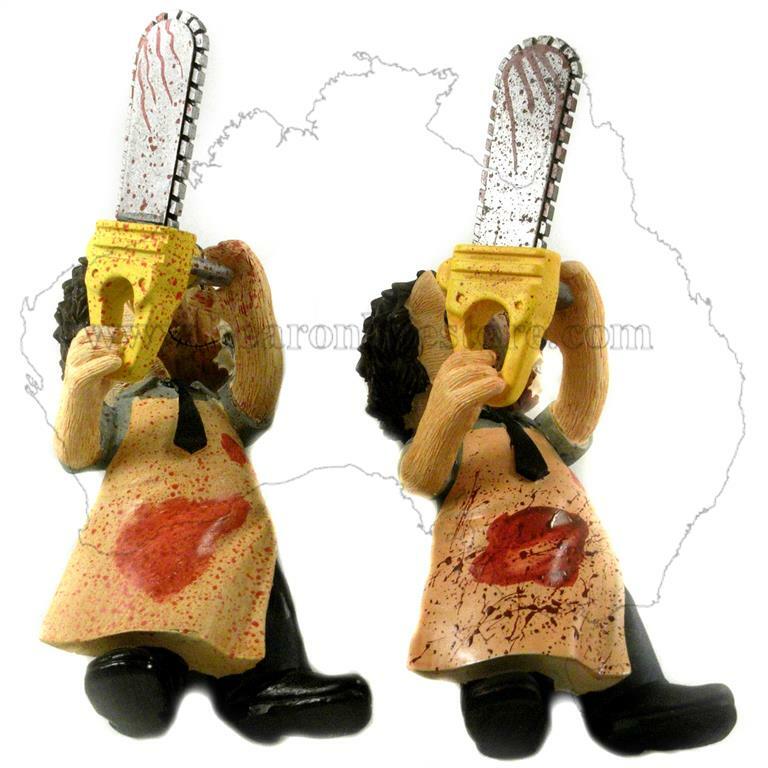 This 'Classic' release of Stitch has a different blood splatter and pattern on the apron, and a slightly wider chainsaw to the original version.